It’s still unclear whether there was a formal agreement when Elon Musk tweeted about working with the Wall Street firm. Two days after Elon Musk said he was “excited to work with Silver Lake and Goldman Sachs” as financial advisers in his bid to take Tesla private, at least half of the tweet has been confirmed. It is typical for a bank to suspend coverage when its investment-banking unit does business with a company under the bank’s sell-side department’s research coverage. The two departments of any given bank are legally required to maintain independence through what is known as a Chinese wall. It’s unclear whether the arrangement was finalized at the time of Musk’s tweet. On Tuesday, Bloomberg reported that the Goldman Sachs Tesla analyst David Tamberrino had not yet received a mandate to suspend coverage at the time of the tweet. Curiously enough, Goldman Sachs is one of the most bearish on Wall Street when it comes to Tesla. It’s surprising that Musk, who has often publicly bemoaned his skeptics and short sellers, would choose such a pessimistic firm. A University of Michigan professor told Business Insider last week that companies were much more likely to choose a firm with a more favorable outlook on the stock. The New York Times reported on Wednesday that Silver Lake, the other half of Musk’s tweet, had been assisting in an unpaid role with the transaction but had not yet been formally tapped as an adviser. Musk’s cryptic tweets have wreaked havoc on Tesla’s stock price since his first announcement last Tuesday. 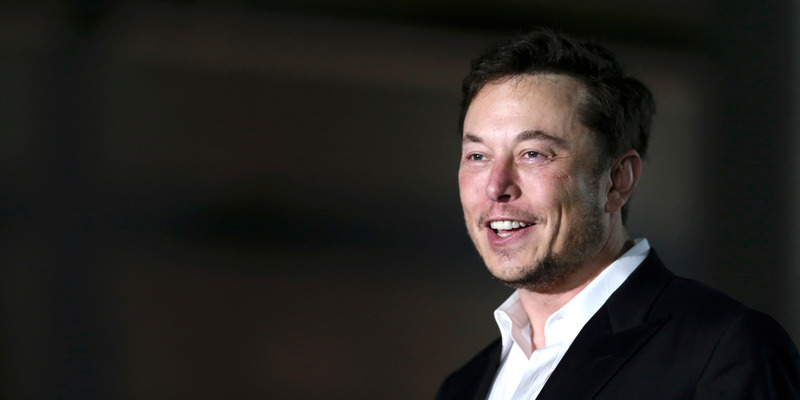 After surging to an all-time high of $389 shortly after Musk suggested there was “funding secured” to take Tesla private, shares have since given up all their gains. 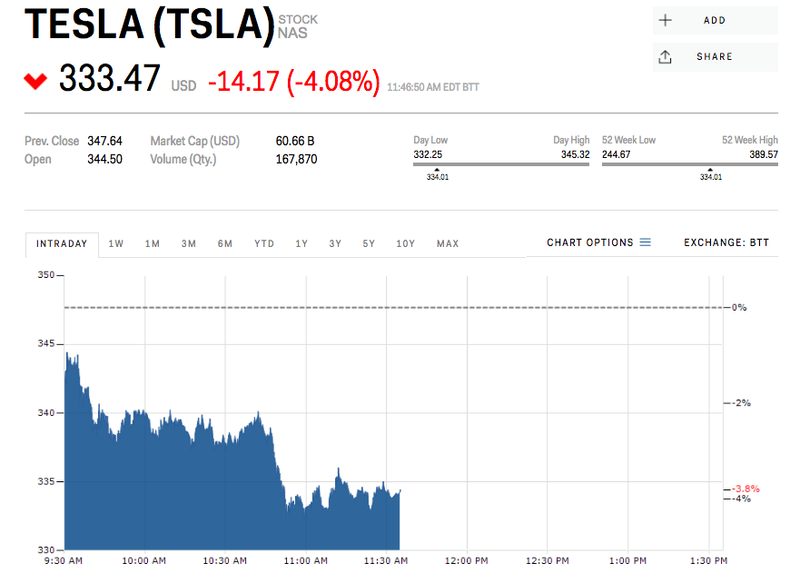 Shares sank another 4% on Wednesday, as low as $333, after a Fox Business report said the Securities and Exchange Commission had formally subpoenaed Tesla over Musk’s tweets. That report follows stories from The Wall Street Journal and Bloomberg saying the top stock regulator was investigating Musk’s tweets. Goldman’s confirmation has brought Tesla up from its session lows, and the stock is now trading down about 4%, at $336. Tesla shares are up about 5% this year.